Custom software development is the designing of software applications for a specific user or a group of users within an organization. Such software is typically created just for that specific entity by a third-party by contract or in-house group of developers and is not packaged for reselling. And this is exactly where Computools can come in handy. The extensive experience of our developers allows to create applications and software of any complexity and for any purpose. We are closely following the development of modern technologies, constantly expanding the range of offered services and improving the skills of our employees. Our company is always ready to meet customer requirements. We offer outsourcing services and successfully cooperate with the clients’ in-house IT-departments. Our managers at an early stage create a communicative ecosystem, which allows all parties of the process to participate in the discussion and resolution of issues. Among our achievements is the development of internal applications for large, medium and small companies. We always keep within the set deadlines and budget, trying to find the most suitable solutions for the tasks. Our skills and professionalism in the field of custom software development have been repeatedly noted by our customers. It was also appreciated by GoodFirms. GoodFirms, as a full-fledged research and review platform, helps both: software buyers and service seekers. Its main goal is to provide both sides with truly prominent, efficient, and well-performing IT companies and software solutions. In order to achieve it, GoodFirms research and review companies & software products that could be of help to prospects. In its work company follows an innovative research process that helps to identify leading companies and software solutions that have been delivering groundbreaking results to their clients. 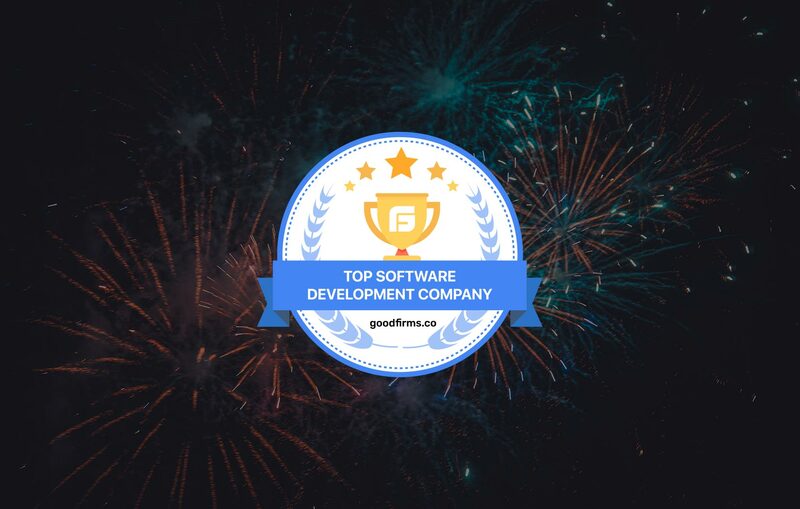 Consequently, GoodFirms provides a categorized directory, client reviews and company content & resources to help choose the best firm/software product that meets any specific requirements. What is more, GoodFirms is sited as a reliable source: reputed companies & software vendors trust its critical and authentic research. This is what makes us proud to become a GoodFirms top-listed company.